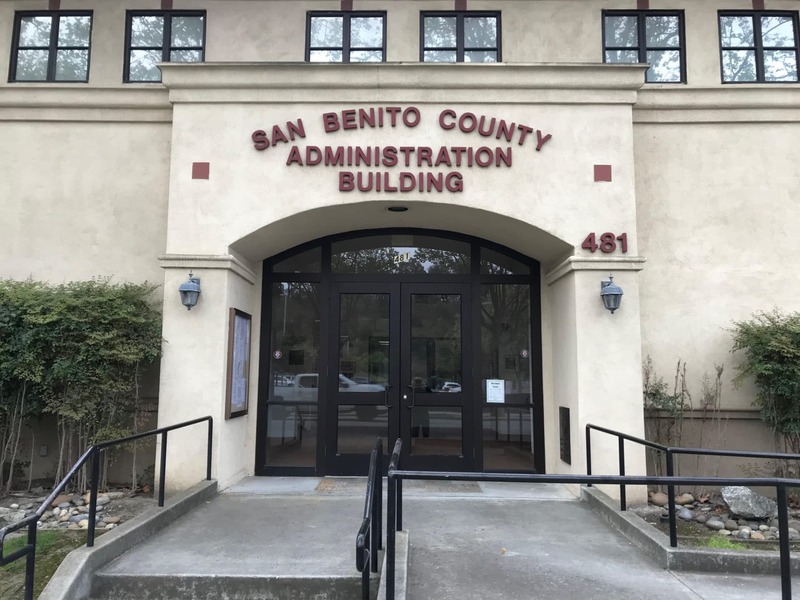 San Benito County supervisors Tuesday will consider hiring a contractor to redesign and host the county website, payments to organizations for economic development purposes, cannabis permitting and financing for the new county jail project, among other items. 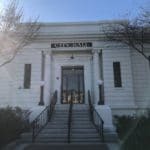 The board will meet at 9 a.m. Tuesday at the San Benito County Administration Building, 481 Fourth St., Hollister. The county is considering approval of a contract with Granicus for the new county website redesign and a five-year agreement for maintenance, hosting and licensing. 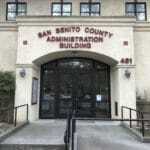 According to the agenda: The County of San Benito has been using an antiquated website design that is due for re-design. Proposals were submitted by three prominent web-design and hosting companies that combined provide services to thousands of cities and counties worldwide. After an intensive evaluation process where cost, features, and ease of use were considered, the staff has chosen Granicus as the recommended firm to work with. Initial design and implementation will take approximately three months and will culminate in a entirely new look with a focus on providing the public with a easier to use website with improved functionality. Examples of other websites created by Granicus that will be used as models for the San Benito County website include: Fresno County (hwww.co.fresno.ca.us) and Madera County (www.maderacounty.com). The cost of the new website design and implementation is $24,000. There will be an annual fee for continued hosting, security updates, and support beginning year 2 through year 5, which will be billed as follows: $4,100, $4,223, $4,391.92, and $4,611.52. At the end of the five (5) year agreement, the county will have the option to continue the partnership which can include a re-design if requested. The county board will consider a total of $35,000 in donations to nonprofits for economic development, while two of the organizations are from out of the county. According to the agenda: Annually, during the budget hearings, the Board of Supervisors allocates funding for Economic Development in San Benito County. The amount allocated for FY 18/19 is $35,000. The CAO’s recommendation for FY 18/19 totals $35,000. It is our recommendation to allocate to the same organizations and funding levels as FY 17/18. The allocation is made with the same assumptions as the FY 17/18 budget of status quo. The board will follow up on its approval of cannabis businesses that exclude retail dispensaries with consideration of fees related to business permitting. According to the agenda: As part of their contracted services, HdL Companies conducted a fiscal analysis to determine the estimated cost of processing a Cannabis Business Permit application, zoning verification request, background check, and/or appeal. The resulting proposed fees are based on actual costs and a fee deposit will be collected upon submission of each cannabis business permit application, zoning verification request, background check, or notice of appeal. The estimated costs of Phase 1 include conducting only one background check and one zoning verification. If additional background checks or zoning verification is necessary, additional costs will be charged against the full fee deposit. The proposed verification letter fee deposit is $279.16. The proposed background check fee deposit is $354.49. The proposed appeal fee deposit is $3,453.99. For all the foregoing proposed fee deposits, the actual hours worked by staff and any actual costs of consultant, the DOJ, and/or FBI will be charged against the applicable fee deposit. Applicants will be invoiced for additional hours; applicants will be refunded any excess funds. The proposed cannabis business regulatory program fee schedule includes the establishment of new fees for processing cannabis business permit applications (4 phases of review), zoning verification fees, background/LiveScan fees, and appeal fees. The proposed fees are based on actual cost (minimum charge/deposit), which means each applicant will be charged actual staff time (to be charged against the deposit). For example, an applicant will be charged actual staff time spent processing a cannabis business application (4 phases of review), as well as, actual costs of consultants and/or any applicable DOJ/FBI costs. The board heard the recommendation of the Agricultural Preserve Advisory Committee to expand the list of compatible uses within agricultural preserves and authorized preparation of a proposed ordinance to add the following six additional compatible uses: event centers; wineries; small solar projects for the operation of a farm or ranch; vegetable processing plants; meat processing plants; and airplane runway strip for landowner’s Non-Commercial Use. The county will consider a financing structure for the new county jail expected to be finished in May at a total cost of $24.5 million. 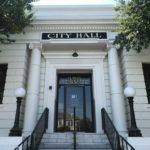 The county is planning to use a lease-leaseback financing structure through its own San Benito County Financing Corp. The 2019 COPs are being issued to finance a portion of the construction costs of the new County jail facility. The project consists of a 25,000 square-foot expansion of the existing San Benito County Jail. The jail will provide housing for 72 beds, program space, medical area, intake/release functions and administrative offices. Construction began in September 2017 and is anticipated to be complete by May 2019. The total cost of the project is approximately $24.5 million, of which the 2019 COPs will finance approximately $7.5 million. The County has received approximately $15.0 million under the State’s AB 900 program for the project, and the County will contribute an additional $1.5 million from reserves. The County will lease the Sheriff Administration/County Permit Center to the SBCFC pursuant to a Site Lease; the County will then sublease the property back from the SBCFC pursuant to a Lease Agreement; finally, the rental payments made by the County under the Lease Agreement are assigned by the SBCFC to the Trustee pursuant to an Assignment Agreement.